Home » Blog » Snorkeling places in Egypt that you need to visit! Snorkeling places in Egypt that you need to visit! 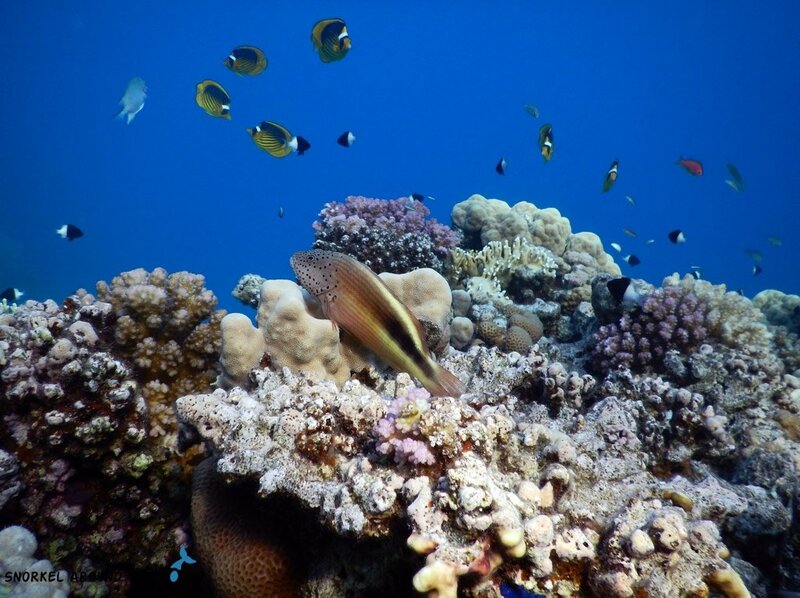 The snorkeling places in Egypt are famous all over the world due to the reefs’ diversity and abundance. 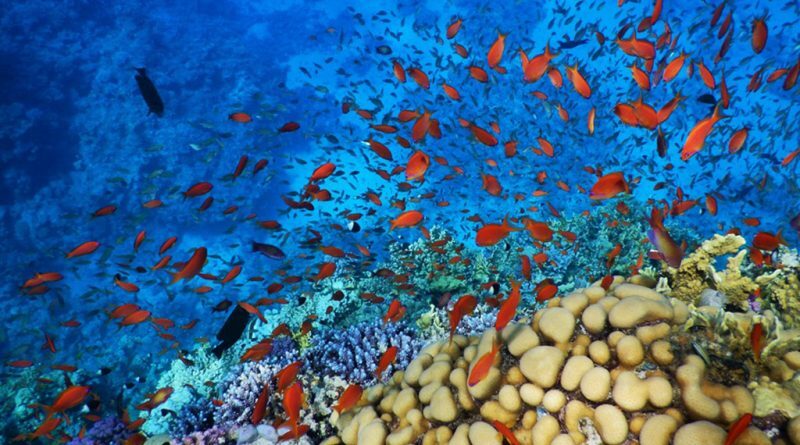 Red Sea corals are considered among the healthiest ones that withstand well threating factors due to climate change making Egypt a top destination for ocean lovers and a snorkeling paradise! 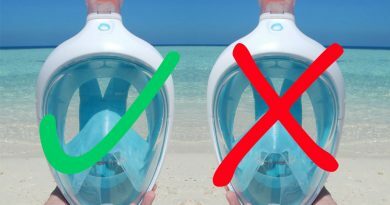 1 What snorkeling places in Egypt to visit? 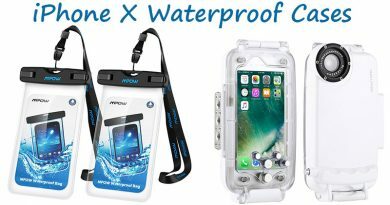 What snorkeling places in Egypt to visit? Thanks to the Red Sea fringing reef systems, it is not a big deal to decide where to stay in Egypt since almost all hotels have excellent house reef, or lies not far from some top snorkeling places in Egypt. No matter if Hurghada, Sharm el Sheikh, Marsa Alam, Dahab or Taba will be your snorkeling holiday destination, we can guarantee that the underwater scenery won’t disappoint you! To get help with deciding which area would meet your expectations the most, read our small introduction about the mentioned Egyptian cities below and check out our detailed Egypt snorkeling guide! Make sure to go through on our how to stay safe in Egypt tips too! This former fishing village now a busy tourist destination where you can experience how old and new traditions meet and live together. The perfect place to stay for first-timers in Egypt allowing to make the most of your holiday combining beach fun with visiting the nearby historical attractions. If snorkeling is your main priority, the best is to stay in of the Makadi Bay hotels! 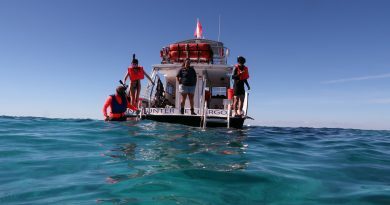 The Careless Reef is a very popular snorkeling and diving site. It locates about an hour drive from Hurghada city and also available with boat. The reef lies 5 km north of the Giftun Island and consists of 2 underwater pinnacles. There is a valley between the two pinnacles which is approx. 16 m deep. This spot is known as one of the best snorkeling places in Egypt around Hurghada because of the rich marine life. Big population of moray eels, jackfish, tunas, barracudas, octopus, rays, turtles are common but sometimes you can meet dolphins as well. Historic underwater attraction, the Sunken City is an artificial reef in front of the Pyramisa Sahl Hasheesh Resort Hotel. The area lies approx 20 km south of Hurghada centre. The Sunken city was inspired by the lost city of Atlantis and is definitely one of the most special snorkeling places in Egypt. If you are around, don’t miss out exploring this underwater temple! Snorkel between undersea sculptures and observe how the marine life forms this artificial reef. Another famous spot near Hurghada where you may meet dolphins. The Shaab El Erg is a reef system in the shape of horseshoe on the North East of El Gouna. It features the Dolphin House and the Poseidon Garden snorkeling/diving sites. The Dolphin House is a great place to spot Bottlenose Dolphins who play with the luckiest snorkelers! 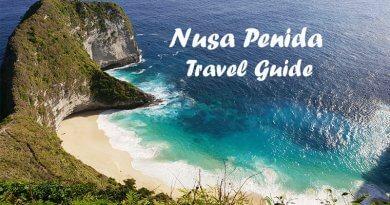 Poseidon Garden is a shallow area (5-15 m) with sandy sea bottom, coral peaks and many different kinds of colorful reef fish. A peaceful, protected bay only 40 km south of Hurghada city. If you prefer being away far from the crowd while on holiday in Egypt, stay in the Sharm el-Naga Resort. If your hotel is in Hurghada, join Sharm el-Naga snorkeling trips to explore the beauty of this lovely place! Sharm el Naga is of the most pristine snorkeling places in Egypt with healthy coral ecosystem. Shallow, clear water makes it a perfect place for novice snorkelers. While divers can discover big fire and gorgonian coral colonies in deeper water. Safaga region is a celebrated destination among divers and snorkelers. A perfect place to disconnect from the everyday life and enjoy the Red Sea pure beauty. The whole area offers excellent snorkeling and diving opportunities but Gassous Bay is definitely a gem here with a 600 m long sandy beach and untouchable coral reefs. The seagrass covered sea bottom makes this place one of the few snorkeling places in Egypt where you have a chance to swim the famous sea cow. 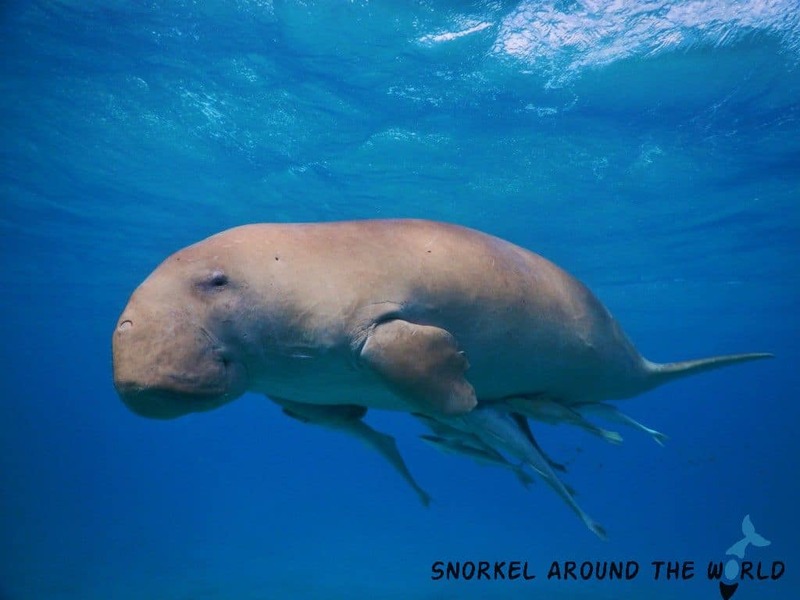 Although the best place to snorkel with dugong in Egypt is Marsa Alam, sightings are common in Gassous Bay too. There are 2 hotels in the bay, the Coral Sun Beach and the Coral Garden Resort, both with limited capacity to avoid mass tourism and preserve the bay’s natural beauty. The hotel management and local dive club do their best to protect the marine life. Thanks to their efforts, the underwater life is really rich here! You can see seahorse, nudibranchs, ghost fish, and stonefish. Moreover, turtles, eagle rays, and Napoleon wrasses are also daily visitors here. A less visited destination in the south of Egypt with pristine coral reefs and abundant marine life. 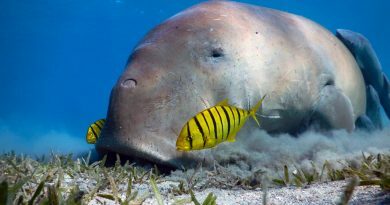 Marsa Alam is the most famous of Marsa Mubarak and Abu Dabbab bays where the chance is the highest to swim with a dugong and huge sea turtles but consider visiting the 2 following snorkeling places too if you are around. The Sataya Reef is the best of the few snorkeling places in Egypt where you can swim dolphins in the sea, in their natural environment. A Sataya snorkeling trip is a long yet rewarding full day trip. After your hotel pick-up, you will be transported to Hamata Port. The journey takes approx. 2 hours to reach Sataya Dolphin Reef. 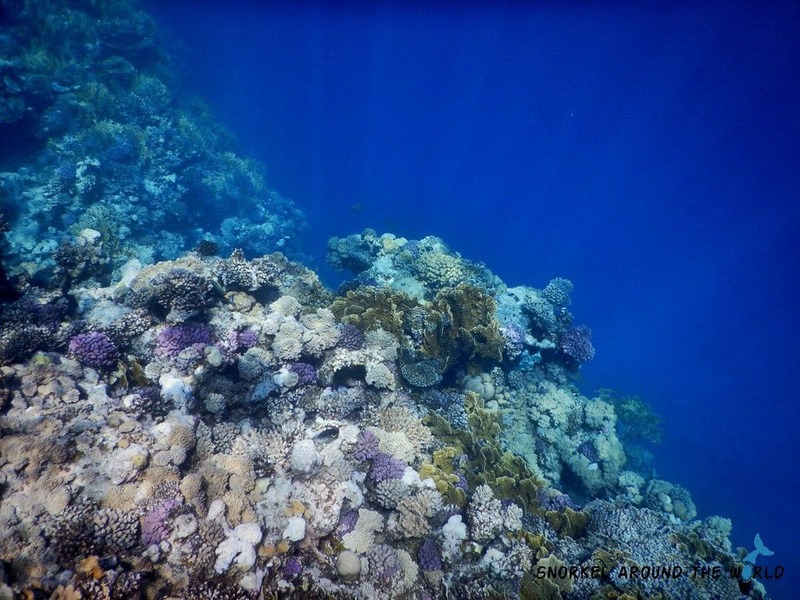 Since the reef is in the middle of the Red Sea, the corals are super healthy here! You might see big school of fish, turtles, huge napoleon wrasses as well. The Sataya Reef is home to a big population of dolphins, so it can easily happen that you find yourself surrounded by hundreds of them! Swimming with these intelligent animals is a lifetime experience, don’t miss out visiting this special snorkeling place in Egypt while you are in Marsa Alam. Sataya is a protected area and the daily number of visitors is limited, therefore the best is to book your trip in advance! If your whole family loves snorkeling, Marsa Egla is your perfect place! This large, sandy bay is good for snorkelers at all levels with shallow water and easy shore access. Swim around and seek snappers, batfish, sweetlips, and moray eels, but expect to meet turtles and seahorses too. On the top of these, you might swim into a dugong too who comes often to the bay to feed on seagrass. The city of Sharm el Sheikh can be found on the Sinai Peninsula. Modern buildings and good infrastructure make it more European comparing to other Egyptian cities. The best snorkeling places in Egypt are definitely the ones around Sharm el Sheikh if it comes to diversity. The fringing reef system stretches along the coastline making the whole area an underwater paradise. If you choose your hotel well, the house reef will offer you miles long snorkeling area. You don’t even need to leave your hotel and still, you will get the best underwater show every day. But I recommend you to sign up for some boat trips and visit the Tiran Island and Ras Mohamed National Park! This Egyptian-administered island is located at the entrance of the Straits of Tiran. It separates the Red Sea from the Gulf of Aqaba. It forms the narrowest section of the Straits of Tiran therefore has strategic significance too. The Straits of Tiran is a sea passage to major ports of Aqaba and Eilat. Israel took over the Trian Island from 1967 to 1982. The Tiran Island’s coral reefs (Gordon, Thomas, Wood House and Jackson Reefs) were named after English cartographers who created maps about this area in the 19th century at first. The underwater landscape is variable, the corals build up big forests under the surface. Thanks to the rich currents the marine life is teeming here: big school of fish, napoleon wrasses, sea turtles are common. Often dolphins, manta rays and sharks are spotted too. The Ras Mohamed National Park is a protected area since 1983 about 20 km south of Sharm el Sheikh. The fact that this is the first and best kept national park in Egypt makes it a special one on the snorkeling places in Egypt list. The park area was expanded in 1989. Now it covers more than 480 km2. At the southern end of the headland, there is a Mangrove forest! The Ras Mohamed National Park has one of the richest marine life on the world. Huge coral reefs full of life, diversity of marine species including big napoleon wrasses, lionfish, jackfish, tunas, batfish, Risso dolphins and different sharks as well. 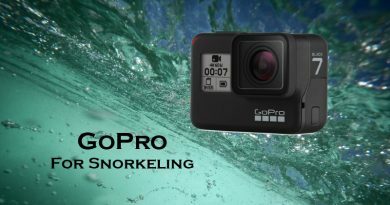 The most popular snorkeling places are the Anemone City, Stingray Station, Yolanda Reef, Shark Reef. Golden City, this is what Dahab means. A place, where you find treasure above and under the sea too. 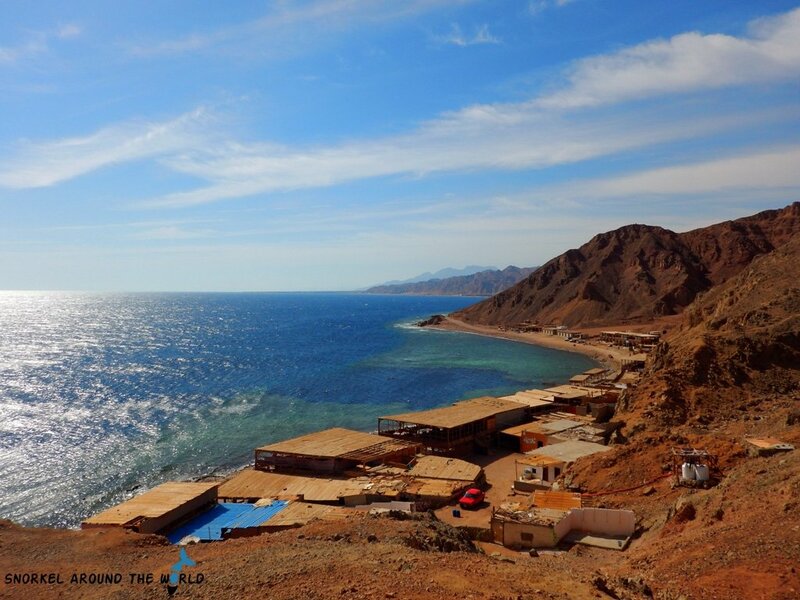 Dahab is a hub for freedivers, backpackers and for those who want to experience how the life runs in a traditional Egyptian village while having access to the top snorkeling places in Egypt. The Blue Hole is the most famous diving and snorkeling site in Egypt. This 130 m deep submarine sinkhole lies a few kilometers north of Dahab. Snorkeling in Blue Hole is really a special experience knowing that there is only the big blue beneath you. Often freedivers train in the hole, it is interesting to watch them appearing from the depth or disappearing in it! I found the best to enter the water at the nearby Bells site. It is only a 50 meters walk from the Blue Hole and the current will take you towards the hole alongside the colorful coral wall. The most vibrant part of the reef is the outer ring of the hole, known as Paddle. A nice spot in the heart of Dahab with an average depth of 5-20 m. Eel Garden is the home to Dahab’s largest colony of garden eels. After a 100 m swim over a shallow reef from the shore you will go through a little canyon and arrive in a sandy lagoon which slopes down gradually. Here you can observe the eels! Keep your eyes on the bottom and you will see them slowly rising out of the sand. The best time to visit this place is at high tide for the easiest access but don’t visit Eel Garden if the sea is rough. The northernmost resort area of the Red Sea close to Israel border is a famous vacation spot. A paradise with luxury resorts, picturesque view and amazing underwater scenery where sun seekers, as well as ocean lovers, will find relaxation and fun. The Fjord Bay is 15 km south from Taba City. This protected bay with dazzling coral reefs and unique underwater landscape is definitely a must see! Kill 2 birds with one stone and visit two of the best snorkeling places in Egypt, the Taba Hole and the Fjord Banana reef. Taba Hole is an excellent spot for divers and freedivers. A huge coral bed can be found on 16 m deep and there is a hole on 24 m where you can observe glassfish. The Fjord Banana reef is a shallow banana shaped reef with maximum depth of 12 m offering easy snorkeling. You could reach the Pharaoh’s Island with a short boat trip from Taba. It is a granite atoll surrounded by nice coral reefs, sometimes it is called “Coral Island”. The island is famous for the crusaders’ citadel, which is on the Unesco World Heritage Tentative since 2003. The Picasso Reef near Pharaoh’s Island offers top snorkeling for snorkelers at all levels with many different colorful fish (Picasso fish as well) and huge table coral colonies to see. Did you know that some snorkeling places in Egypt come together with historical attractions? To visit Pharaoh’s Island in Taba, choose the De Monfreid snorkel tour! The tour offers not only snorkeling but exploring the M. S. De Monfreid ship too. This authentic replica of the famous sailor and novelist, Henry De Monfreid ‘s ship became famous because of Henry’s Red-Sea journey. Nice shallow spot on half way between Dahab and Taba. Abu Lou Lou Reef at the Coral Resort Nuweiba known as “lionfish city” because of the high number of lionfish. Not only lionfish but also puffer fish, surgeonfish and moray eels and sometimes turtles can be spotted here. The reef is a cleaning station for bigger sea creatures. With the average depth of between 5 and 20 meters, Abu Lou Lou is good choice for beginner divers too. Snorkeling John Pennekamp Key Largo – What can you see underwater?